NTA veteran broadcaster, Cyril Stober, got married traditionally to his hearthrob and fellow colleague on NTA Network news, Elizabeth Banu. The couple got married after many years of courtship. The traditional wedding took place at Elizabeth's home town in Yola, the Adamawa’s state capital. Cyril, who is from Minna, Niger state, was previously married, likewise Elizabeth. Congrats to them. It’s almost impossible for any Nigerian to dismiss the fact that they know Nigerian Television Authority, NTA Veteran broadcaster, Cyril Stober as he is always on their TV screens every night at 9:00pm for decades. Funke Akindele's name has been removed from the cast list of upcoming superhero movie, Avengers: Infinity War. The Nollywood superstar's name had appeared among the movies cast on Amazon-owned movie database, IMDb. 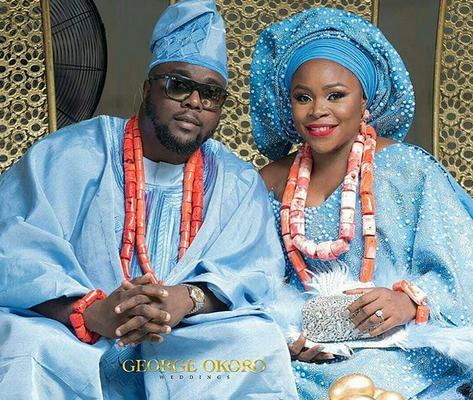 Singer Omawumi has officially become Mrs Yusuf as she married the love of her life Tosin Yusuf today in Warri, Delta state. The Alaafin of Oyo, Lamidi Adeyemi, on Wednesday said he did not receive money from the National Coordinator of the Oodua Peoples Congress, OPC, Gani Adams, before pronouncing him the new Aare Ona Kakanfo of Yorubaland. The monarch in a report by Punch Newspapers said the newly installed Aare Ona Kakanfo was chosen based on his worthy track records. The monarch who confirmed Mr. Adams as the generalissimo of Yorubaland on Sunday said Mr. Adams has always stood in defence of Yoruba ideals. The Alaafin was reacting to criticisms directed at the choice of Mr. Adams as the Aare Ona Kakanfo, almost two decades after the demise of Moshood Abiola, the immediate past holder of the title. A team of policemen and operatives of the Nigeria Security and Civil Defence Corps, have discovered a hideout suspected to be a den of ritual killers at Bolurunduro area of Ilesa in Osun State. Our correspondent learnt that heavily armed security agents, acting on a tip off, stormed the den just before noon on Friday and arrested some suspects including a herbalist. Also recovered were the suspects’ tools used at the den which looked like a shrine. A source told our correspondent that an okada rider, who escaped being kidnapped by the group, alerted the security agents who then raided the shrine. The youngest son of the late MKO Abiola, Abdul Mumin Abiola, has called on Nigerians to prevail on his brothers, Kola (pictured above), Deji and Agboola Abiola, to stop attacking him because he is trying to resuscitate the projects, investments and businesses of their father who died in questionable circumstances on June 12th 1993. News broke out few days ago that Ex-Super Eagles playmaker, Wilson Oruma is having a relapse of the emotional trauma he suffered after he was reportedly duped of the tune of N1.2Bn. The former footballer was said to have engaged in an oil business with some people and a Pastor only for him to end up in a loss. Pictures of him looking like a destitute circulated social media when the news broke out leading to calls for people to help him. "2018 I’m gonna break you properly, ain’t gonna let no one stop me, watch me �••• Before you get to anywhere in life your mind � needs to get there first. You have to first envisage and explore the idea mentally. Everything starts in your mind ��‍♀️therefore make sure you get that straight before anything else. When I was at my heaviest ⬅️ I knew this wasn’t the life for me and I set about reinventing myself. Inwardly I’m pretty much the same person but with a bit more added extras.. What’s the purpose of this post...?? It’s a new year and I’m sure as we all have seen so many posts of “New Year, New Me” ����. Every year is a new year but you don’t need a new year to reinvent yourself or change your mind set. I’m already someone who doesn’t stop until their satisfied (that’s also a flaw ��‍♀️) and I’m never satisfied until I’m satisfied....do you get it? I said to myself, I really won’t let ANYTHING or ANYONE ( apart from the Almighty ☝�) stop me from getting what I want and deserve. So before you embark on #thekefirplan @kefirplan or any other plans you’ve got for this year....think �‍♀️ about ✔️ how you’re going to get there ✔️what will it take to get there and✔️ most importantly how would it feel to get there! 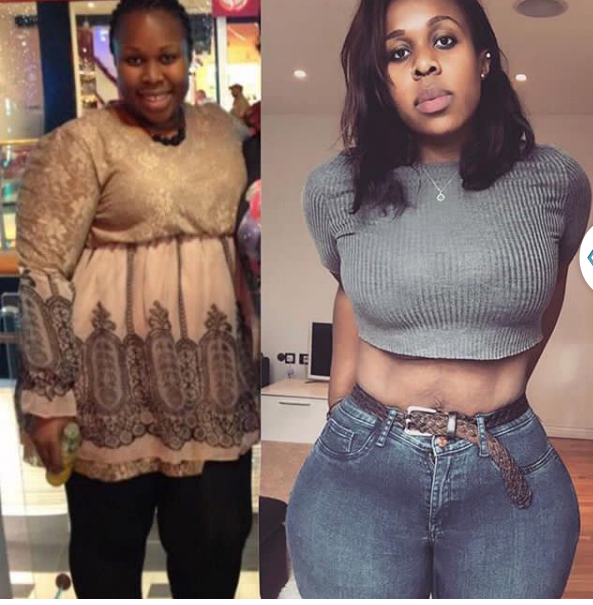 And carry that feeling with you through the times when that idea/dream seems so far removed ❤️ #positivevibes #positivethinking #positivethoughts #transformationtuesday #transformation #healthyliving #healthyfood #healthyeating #healthylifestyle #fitfam #fitspo #fitsporation #fitspiration #fitstagram #fitness #fitnessmotivation #motivation #beforeandafter #effyourbeautystandards #gains #curves #beastmode #allnatural"
Horrendous Video & Pictures, As Benue State Government Conducts Mass Burial For Victims of Herdsmen Attack . Offices, commercial banks, markets and schools were closed in the state capital as the government had, a day earlier, declared Thursday, a work-free day in honour of the 73 victims. Many of those who attended the requiem shed tears as they lamented incessant attacks on residents of the state by herdsmen. A leader of the Tiv nation and the chairman of the Northern Elders Forum, Wantaregh Unongo, said if President Muhammadu Buhari failed in his responsibility of protecting lives and property of Benue citizens, the people would train their own army in the state to defend them. Donald Trump canceled plans to visit Britain in February, and is blaming the Obama administration for the fallout. The US President took to Twitter late Thursday night to talk down the administration's decision to sell the acclaimed American Embassy London, formerly located in Grosvenor Square. The US President took to Twitter late Thursday night to talk down the administration's decision to sell the acclaimed American Embassy London, formerly located in Grosvenor Square. 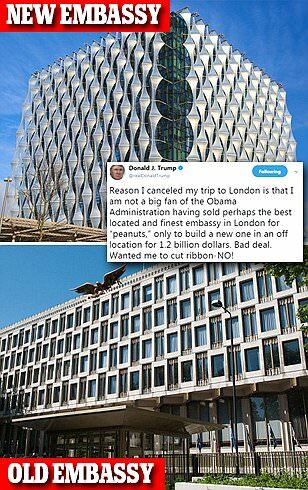 'Reason I canceled my trip to London is that I am not a big fan of the Obama Administration having sold perhaps the best located and finest embassy in London for 'peanuts,' only to build a new one in an off location for 1.2 billion dollars. Bad deal. Wanted me to cut ribbon-NO!,' Trump wrote. But, according to the embassy's website, the decision to change the location to the new Nine Elms area of Wandsworth took place during George W. Bush's time in office, prior to Obama's in January 2009. Trump was previously expected to make his first trip to the UK since entering office, but Government officials were newly informed he went cold on the idea. A new date has not been offered, raising the prospect of a major diplomatic snub. 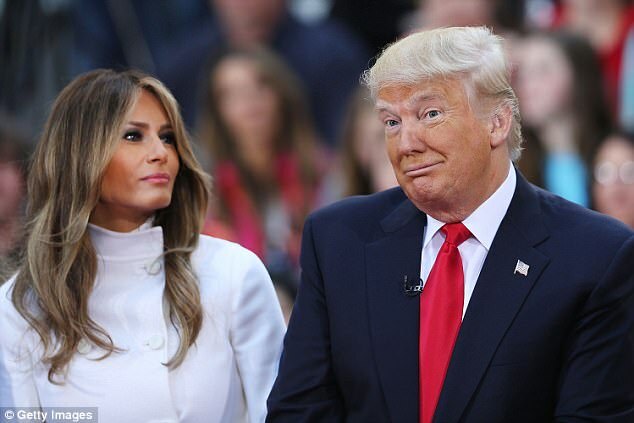 One senior source told the Mail that Mr Trump – who was expected to officially open the new US embassy in London – had cancelled because he was unhappy about the arrangements and the scale of the visit. Pictured in the photo is her mother Oracene Price, her sisters Venus Williams, Isha Price, Lyndrea Price and her baby daughter, Alexis Ohanian. Sharing the cute snap of all of them pictured in blue Pyjamas as she cradles her daughter in bed, Serena revealed that her mother actually raised five children but unfortunately one passed away. Donald Trump has scrapped plans to visit Britain next month, it is claimed. The US President was expected to make his first trip to the UK since entering office, but Government officials have been told he has gone cold on the idea. No new date has been offered, raising the prospect of a major diplomatic snub. One senior source suggested Mr Trump cancelled because he was unhappy about the arrangements and the scale of the visit. The abrupt reversal comes despite Mr Trump telling Theresa May in a phone call last month that he would visit Britain in the New Year. Nigerian singer,David Adedeji Adeleke, better known by his stage name Davido and his whole team took all the first class seats on an Emirates Airlines flight from Dubai to Lagos recently,in a seat that would have cost AED 12,480 , £2,509(N1.2 Million) for each person. This video shows the eye-popping standard of quality in a first class flight with the airline. If you don't have the energy to ask the cabin crew for assistance, there is also a personal minibar featuring drinks like water, lemonade and cola next to the seat. This woman must be feeling like the most lucky woman on planet earth. when i ask most ladies of the kind of children they would prefer, most of them tell me that they want to have a set of twins, this woman doesn't have just one set of twins, she has two..two freaking handsome boys. I cant wait to marry oo, so i can start posting pictures with my twins too. 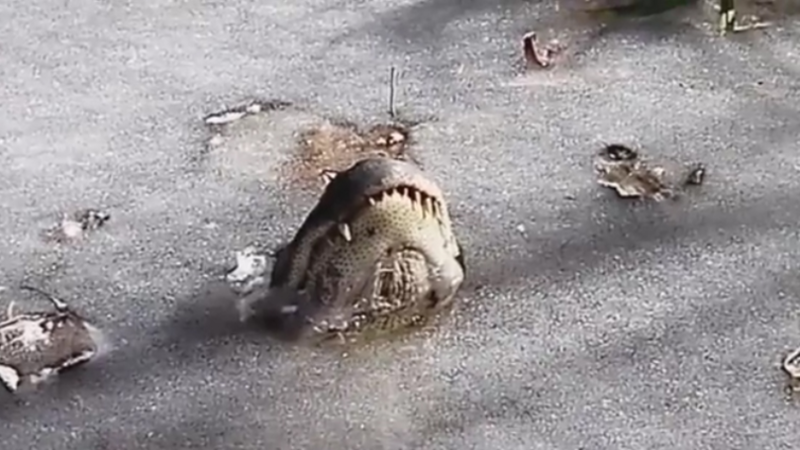 This is very unfortunate. The federal government has got to step up its strategy to curb the growing menace. Scores have been killed in Taraba State after Fulani herdsmen launched a recent attack on Ananum village in the Donga Local Government Area of the state. According to reports, the head of the Ananum village was gruesomely killed along with two wives after being attacked by the herdsmen. The topic for discussion was ‘Abuse and Addiction’ too hard drugs and alcohol. 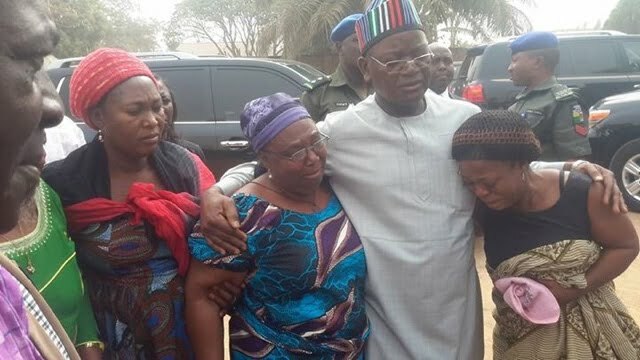 Benue State governor, Samuel Ortom, has described the attacks on his kinsmen by suspected Fulani herdsmen as a declaration of total war on people of the state. The governor said since 2011 when the attacks started, the state has lost illustrious sons and daughters as well as approximately N95bn. The governor made these remark on Thursday in Makurdi at the mass burial of those recently killed by Fulani herdsmen in Logo and Guma LGAs of the state. Ortom, who wept profusely while giving his speech called on both national and international communities to come to the aide of the state. Former Super Eagles captains, Augustine Eguavoen, Samson Siasia and Nwankwo Kanu, have all agreed to take part in a football game to raise funds in a bid to aid the recovery of their former teammate Wilson Oruma who is still in mental distress after losing most of his money to swindlers six years ago, Completesportsnigeria.com reports. The Nigerian Police Force has announced that its officers killed six members of the gang that carried out the bloody New Year massacre that resulted in the death of more than 20 people in Omoku, Rivers State. While addressing journalists on Thursday, January 11, 2018, Police spokesperson, Jimoh Moshood, said that the six gang members had been killed after they engaged officers in a shootout in Awara Forest, a boundary between Imo State and Rivers. "The IGP-Intelligence Response Team attached to the Joint Police Special Investigation Team engaged some of the suspects in their hideouts in Awara Forest boundary between Imo and Rivers State, the shoot outlasting several hours resulted in the death of six (6) of the suspects while others escaped with bullet wound injury to other locations in Rivers, Delta, Imo and Bayelsa States and the Police Teams are currently on their trail," he said. Ex senate President Sen. David Mark constructs multi-million naira church to St Augustine Catholic Church, Otukpo diocese. 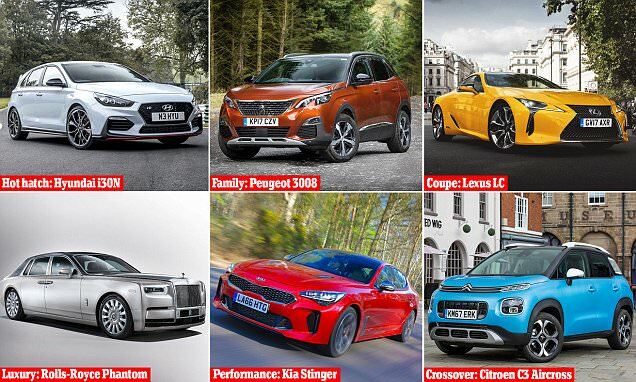 The 13 Best New Cars Of 2018 As Voted For By Expert Reviewers - But Which Will Be Crowned Car Of The Year? All the cars listed are relative newcomers and have received glowing reports by those granted first access - making them the best in their class. Just one of them will be crowned Car of the Year 2018 next month. The vehicles range from sports cars, to SUVs and there are some surprise appearances in the hot hatch and performance car categories. The winner will be chosen by the group of motoring journalists - those who have had exclusive access to the cars already and put them to the test on the road - on 23 February, so you'll have to wait to find out which one gets the overall seal of approval. However, we want you to tell us which of the following models you think is most deserving of the title - let us know by entering the poll at the bottom of this page or by leaving a comment in the section below. Couple Who Welcomed 1ST Quintuplets In Cross River Celebrate Their Birthday. A Nigerian couple who welcomed quintuplets after 10 years of waiting - celebrated their babies' birthday as they turned one on Wednesday, January 10, 2018 (yesterday). The babies are reported to be the first set of quintuplets in Cross River state. Dr. Ekpo Edet, and his wife welcomed the five babies last year at the University of Calabar Teaching Hospital (UCTH), where he works in Cross River state. The couple had been married for 10 years without a child. 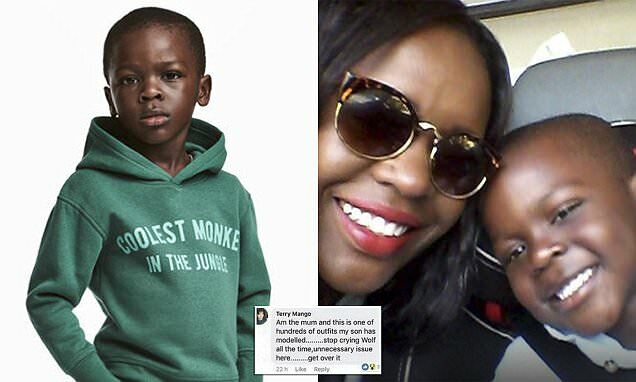 The mother of the child model caught up in the H&M ‘racism’ storm appears to have defended the offensive jumper, telling people to ‘get over it’. H&M has apologised after selling a hoodie emblazoned with the slogan ‘coolest monkey in the jungle’, which was modelled on its website by a young black boy. The jumper has now been removed from sale, with H&M collaborators including The Weeknd and G-Eazy parting ways with the Swedish brand. However, social media posts circulating online suggest that the mother of the child model isn’t bothered by the hoodie at all. Despite her condition which some find very unfortunate, this lovely woman has found love and has happily tied the knot to her sweetheart in style. The woman who was disfigured by an accident got married recently to her man and has been hailed by online users after the wedding picture emerged online. Congratulations to the nice couple. amongst others resumes duty today as he was felicitated by zonal ppro Mrs opetodola badmos on his first day as a police officer. 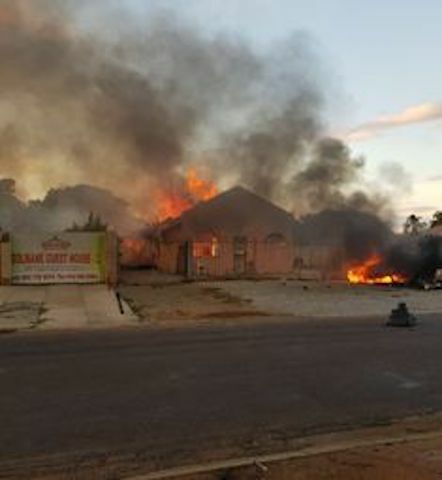 Four Nigerians are in critical condition in a South African hospital while some shops and a guest house have been burnt in renewed attacks by South Africans. Mr Paul Nwanedo, chairman, Nigerian Union, North West Province chapter told the News Agency of Nigeria (NAN) on the telephone from Rustenburg that the attacks against Nigerians began on Sunday. Police in Massachusetts allege a woman ditched her own mother’s funeral on Friday to break into her home and steal a safe filled with items worth $90,000. Charges were filed against the two after Thomas Baillet, Davenport’s mother’s fiancé told police someone broke into his house during the funeral of Audra Johnson – Davenport’s mother – and stole the safe from a locked bedroom. Major market indices are up 2% year-to-date, continuing the major stock gains of last year. Most of us get clammy hands just thinking about getting found doing mildly shady stuff - like eating someone else's food from the office fridge or Facebook stalking an ex. 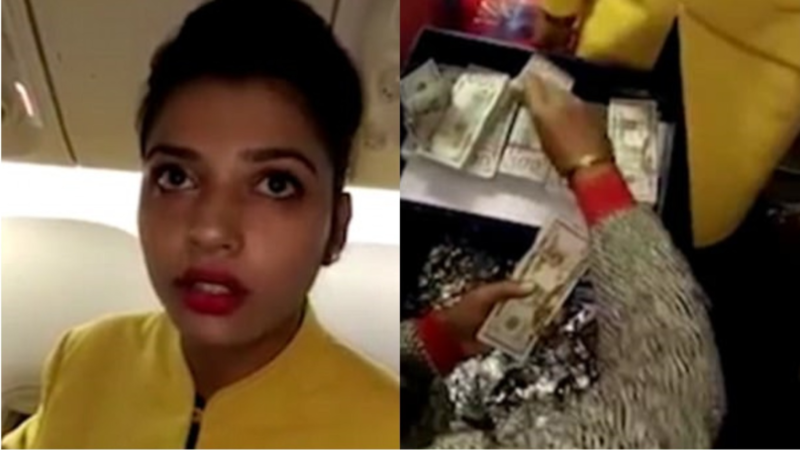 But what if you got caught red-handed with $500,000 (£370,000) of smuggled cash on you? Now that's incredibly awkward. A man from Nibo town in Awka South area of Anambra State, is set to hold a special thanksgiving service to thank God for his survival after a gruesome armed robbery attack. The man was accosted by some men of the underworld who rained bullets on him in a bid to rob him. After months of treatment, the man who sustained bullet injuries appears to have recovered fully as he plans to appreciate God with a thanksgiving service come Sunday, 4th February, 2018 - a day which is also his birthday. 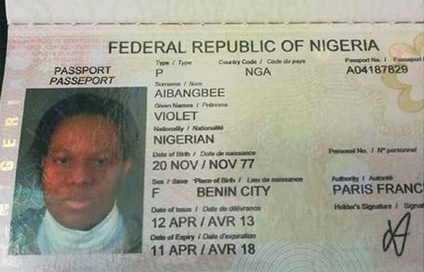 A Nigerian woman has been found dead at home in her apartment in France and people do not know those she's related to. The Embassy in France has however began a search for her family, and if nobody shows up by Thursday, they will have to bury her. Look well does she look like someone you know? 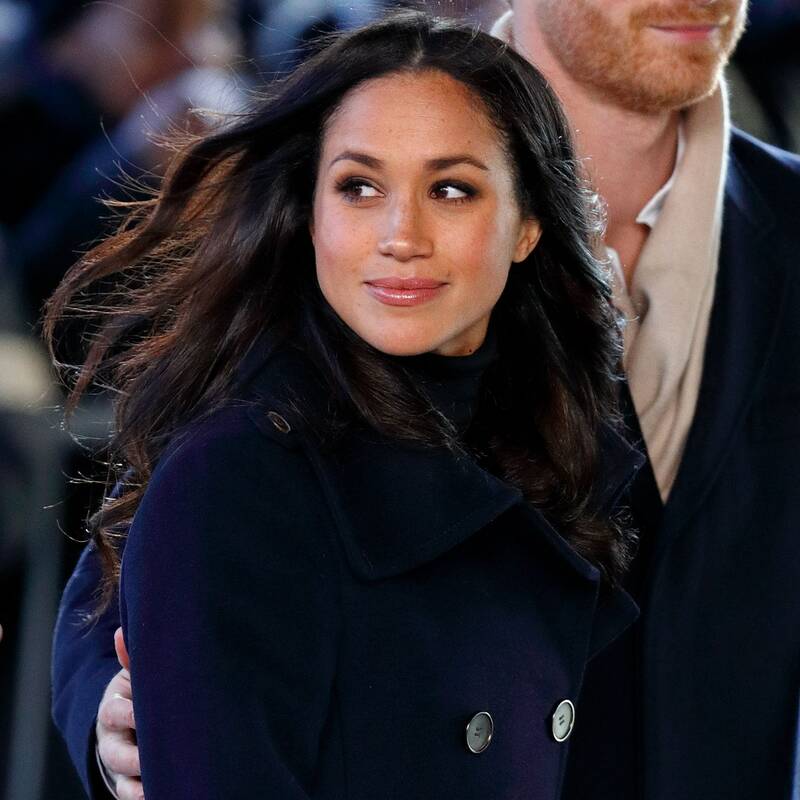 Farewell, Meghan Markle's social media accounts, Yep, it looks like Prince Harry's new fiancée is set for a life without an Instagram or Twitter of her own after her accounts were taken down. Markle's Instagram, Facebook and Twitter accounts vanished from the web last night almost a year after she deleted her personal lifestyle website The Tig. Kensington Palace confirmed the move shortly after the Suits actress made her first official outing with Prince Harry in South London yesterday, visiting a community radio station. P Diddy has seemingly responded to the whirlwind of controversy sparked by the H&M ad which features a black child wearing a jumper with the slogan ‘Coolest monkey in the jungle.’ It’s thought that he’s planning on hiring the little lad to model for his own brand, Sean John. The South Korean tech giant showed off the mega-telly at Consumer Electronics Show (CES) in Las Vegas, the most important consumer tech event of the year. 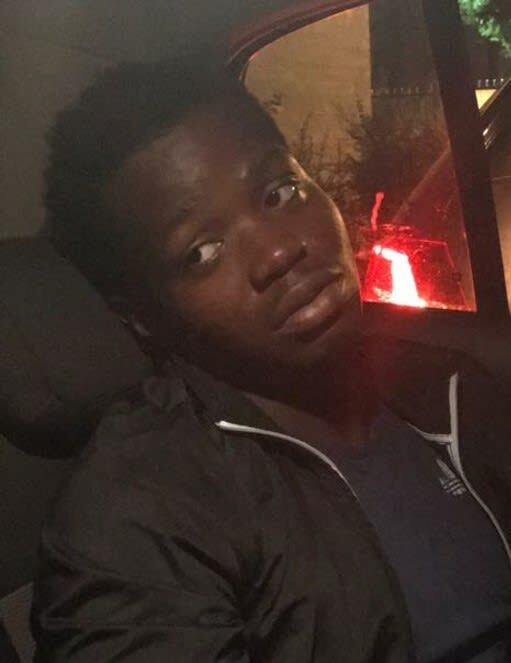 According to a report by Metro UK, Abdul-Jamal Ottun had two training sessions before joining a group of 25 school pals for a swimming trip to a lake on a Sunday afternoon.The 17-year-old was stood around taking photographs moments before a friend pushed him off a jetty into the water. At the time of the incident, he was observing Ramadan but had stopped for the school rugby trip to Canada in 2015. This evening, Sunday 7 January, officers will revisit the scene, appeal to the public and speak to residents as part of the ongoing appeal for information. DCI Cranwell said: "Taofeek was repeatedly stabbed, and was found lying in the street suffering horrific injuries from which he did not recover. Violent incidents such as this have no place on London's streets, and we are urgently following up a number of lines of enquiry to trace those involved and responsible. "We know that the victim was with a number of people at the time of the attack, and I urgently need to trace this group of young men. "Memorial Avenue is a busy residential area close to West Ham station. I know that there were people in the area who witnessed the incident, and I need them to come forward. Any information provided will be treated with the strictest confidence." Police were called by London Ambulance Service at 19.37hrs on Sunday, 31 December, to Memorial Avenue, West Ham E15 to a report of a male stabbed. A Nigerian journalist, Osiah Chinedu Ojukwu, is overwhelmed with joy following the killing notorious cult leader, kidnap kingpin and mass murderer was shot dead by security operatives recently in Enugu state. The journalist revealed how the dreaded criminal element called him on phone to threaten him over a negative news published about him. Mansion Belonging To Cult Leader, Don Waney Demolished In Rivers State. The gallant operatives of the Nigerian Army have arrested armed militia group from Benue claiming to be members of government-sponsored security volunteers. 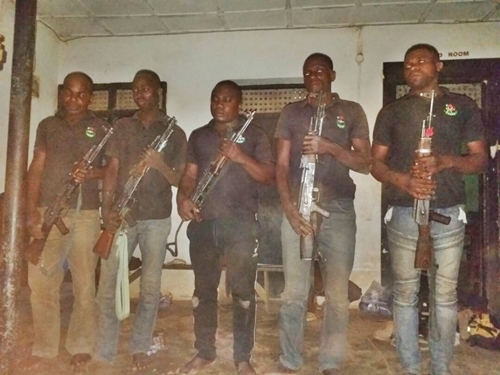 Nine well-armed militia from Benue who claimed to be members of government-sponsored security volunteers has been apprehended by military troops from 93 Battalion of the Nigerian Army stationed in Takum, Taraba State. A military intelligence source indicated that the armed gang who were arrested at Arufu, a boundary town between Taraba and Benue States with AK-45 rifles fully loaded.